Below is a list of the products that complete DKT’s collection of distribution passives. The SiM 13-NL- F is a 12+1 multitap with different tap losses on each port. This supports the variation in distance from the tap point to each of the connected subscribers. If there is only a short length of coaxial cable between the location of the multitap and the subscriber, then a higher tap loss can be used when compared with a subscriber living further away. Using RG6 cables the distances can vary from 6m to 136m. The multitap ensures that minimum service is required. For more information refer to the description under the Signia Line of taps and splitters. 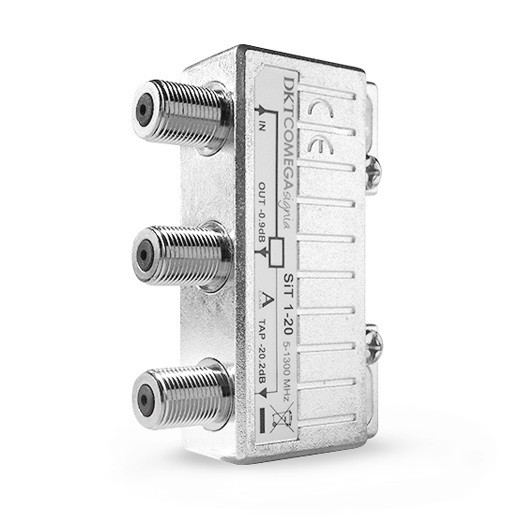 DKT diplexers can be used to separate the forward and return path bands. SiCS-65 splits the signal between the low (5-65 MHz) and the high (87-1006 MHz) frequency bands. It can also be used to combine these two frequency bands into one signal. SiCS-65 is constructed with nickel-tin plated brass connectors. In some situations it is necessary to distribute power in part of the distribution network. 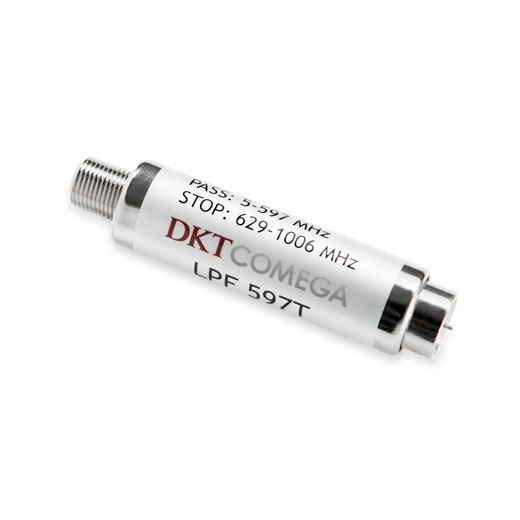 As most distribution passives block DC and AC signals, the SiPP branches off the supply current and directs the RF signal to a separate port that can be connected to the splitter or tap in question. The output from this passive is then fed back into the SiPP and the RF signal is combined with the supply current. 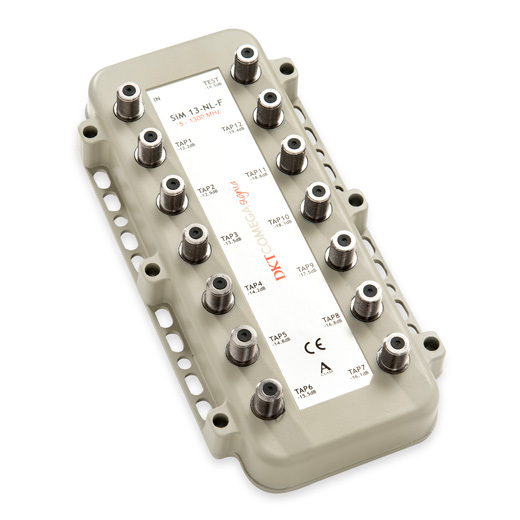 To facilitate the debugging in the networks the SiTPC-20-20 1G3 offers a 20dB test point in the downstream direction, and a 20dB injection point (or test point) in the upstream direction. In both directions the tolerances on the 20dB is only ±0.5dB for the maximum precision. 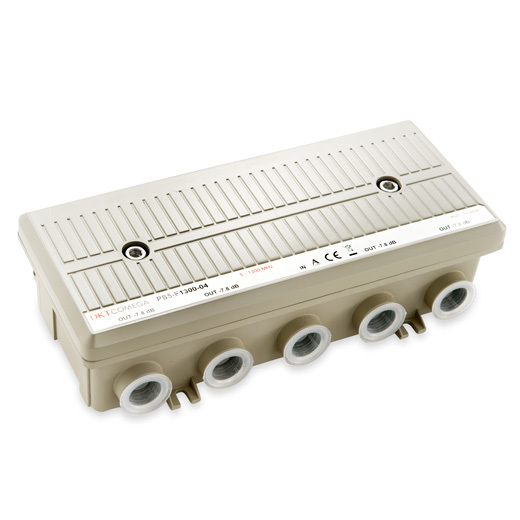 The PS & Confree series consists of 2-, 3- and 4-way power splitters, and 1- and 2-way taps. DOCSIS 3.1: Keep living in the past or upgrade! Current broadband networks are not geared to manage the multi gigabit speeds required to effectively run and operate all the devices in our homes. But DOCSIS 3.1 can change that.